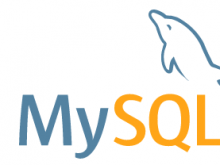 mysql 5.5, as of this writing, and you want to upgrade mysql to the next version. In this example I have used version 5.5 for the upgrade mysql example. But, technically the methodology would work for other versions as well unless mysql drastically changes folder locations. Once you download the tar file containing the new mysql version do the following commands on your terminal. This would upgrade your current mysql version to mysql 5.6 or which ever is the new mysql version. Then restart mysql for the change to take effect. Specially this might happen on ordinary symfony application. This is mostly, very very likely, related to memory issue. Solution 1: perform your composer update or install on the host machine if possible. This might not be possible in some scenarios if there are dependencies that rely on installed packages. But, if that is not the problem, have on the host and the files would be sync’d anyway. the free command would tell you how much memory you have and how is used. Unless you have been living under rocks, you have heard about composer already. It is a dependency manager and more than that actually. 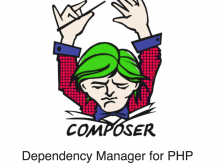 If your PHP app is using a lot of dependencies, then it is time to consult composer. Here I will put some notes on how to install it and make it available globally so that you can use it from any directory. Of course you would need the composer.json file for the above to work where you would list the dependencies.